I think the reason Paula Deen failed to look at the larger context is because she may not even be aware that it exists. That’s not to say she’s not responsible to try to seek it out. As a white female pushing 50 myself who, although a Canadian, was raised in the US from the age of 3, I can say that because white Americans historically haven’t HAD to face the issue of race and racism in America, most of us don’t. One has to first become mindful of the problem of embedded institutional racism. So that means most whites who don’t attend a 4-year college won’t even be exposed to the idea. Then, one must voluntarily make the effort to start to educate oneself, begin to challenge one’s biases and perceptions of what one believes to be reality, and then continuously put oneself in the position of re-learning how to be human – in relation to what they’ve been taught and absorbed, and to non-whites. That takes more motivation than many (most?) white Americans have, sadly. It takes humility, a willingness to learn, and to not only recognize one’s privilege but to give it up. One has to make a conscious decision to be part of the solution, even if one continues to make unconscious mistakes over and over. Moreover, one must be willing to make mistakes, be called out for them, see them (I mean, really SEE them) and then be humble enough to learn from them. This takes years and years of choosing to put oneself in an uncomfortable position. Because we whites don’t walk out of our homes into that uncomfortable position every day like people of color in America do, most of us choose (either consciously or unconsciously) to take the path of least resistance. However, especially with the access provided by the internet these days, that is no excuse. There is no longer any excuse to look at the broader context; anyone who does is choosing ignorance over enlightenment. Any white American who does not make the effort to continuously confront their racism and retrain themselves, with the help of others (and there are many opportunities to do so – annual White Privilege Conference, etc.) can no longer claim ignorance or unawareness and, in effect, is choosing to be part of the problem. 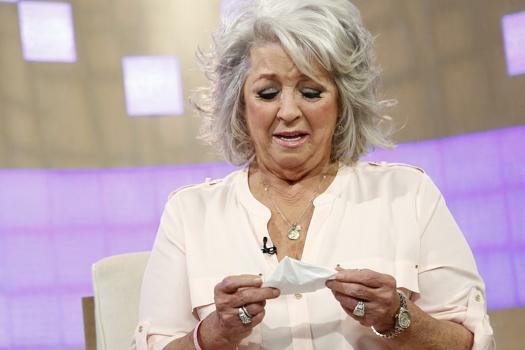 For me, the problem isn’t that Paula Deen used the slur; that is just a symptom of the problem. The problem for me is that she didn’t even try to learn from the experience of being caught doing so. Personally, I don’t know if she’s capable of this; however, many of the white Americans who are going on the defensive and reacting so unconsciously are capable of this and should be doing more to challenge their own learned biases and privilege. The opportunities are out there. Will we take advantage of them?